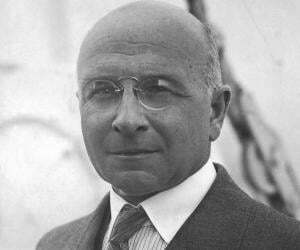 Alexis Carrel was a French biologist and surgeon who received the ‘Nobel Prize in Physiology or Medicine’ in 1912. This biography profiles his childhood, life, research work, achievements and timeline. Alexis Carrel was a French biologist and surgeon who received the ‘Nobel Prize in Physiology or Medicine’ in 1912 for pioneering technique of suturing blood vessels. He developed a procedure of vascular suturing that requires least possible stitches, which eventually became a vital part in many surgical operations. He along with Charles A. Lindbergh invented the first perfusion pump that paved way for organ transplantation. Carrel also analysed the conservation of living tissues that were taken out of the body and in one notable case, by circulating tissue culture fluid, he maintained the living culture for more than two decades. During ‘Second World War’, he aided in devising ‘Carrel-Dakin’ method to treat war wounds that involve application of antiseptic fluids to prevent infection – a procedure used extensively since then. He was an advocate of the social philosophy called ‘Eugenics’ that encompassed a set of beliefs and practices aimed at improving human genetic traits. The French Foundation for the Study of Human Problems, where he served as director during the period of Vichy France, implemented the policies of ‘Eugenics’. His link with them as also with French fascist and anti-semitic political party ‘Parti Populaire Français’ led to probes over his alleged involvement with the Nazis. He also faced media wrath due to such accusations during later stages of his life. He was born on June 28, 1873, in Sainte-Foy-lès-Lyon in eastern France, in the Roman Catholic family of Alexis Carrel Billiard and Anne Marie Ricard as their eldest child among three. His father was a textile manufacturer and died when Alexis was just five. After his father’s death, he and his siblings were raised by his mother. He attended a Jesuit day school and college near Lyons and showed great interest in biology. He used to dissect birds as a schoolboy. In 1889 he received his Bachelor of Letters from the ‘University of Lyons’. After receiving his Bachelor of Science degree from ‘University of Lyons’ in 1890, he further studied in the university as a student of medicine and earned his medical degree in 1900. He remained attached with Lyons’ hospitals during 1893 to 1900, barring a year when he served the ‘Chasseurs Alpins’ of the French army as a surgeon. He was also attached with the lab of renowned anatomist J. L. Testut in 1898. According to Carrel’s claim in 1902 at Lourdes he witnessed miraculous healing of Marie Bailly, who named him as the key witness of her cure. This event that transformed him from a sceptic to a believer in spiritual cures proved detrimental to his career and affected his reputation among his medical counterparts. Unable to find a hospital job and sensing no future for him in academic medicine in France, he migrated to Montreal, Canada in 1903. In 1904 he moved to Chicago in Illinois and began working at ‘Hull Laboratory’. This is where he worked on vascular suture and transplantation of blood vessels and organs in collaboration with American physiologist Charles Claude Guthrie. In 1905 he was inducted by ‘University of Chicago’ in its ‘Department of Physiology’ where he worked under Professor G. N. Stewart. In 1906 the newly established ‘Rockefeller Institute of Medical Research’ in New York, inducted him as an ‘Associate Member’ and later in 1912 he became a ‘Full Member’. He devoted rest of his career at this institute and conducted prominent research work there. In collaboration with the US surgeon and pathologist Montrose Thomas Burrows, he carried out significant investigations on ‘tissue culture’, a phrase coined by both. The assassination incident of French President Sadi Carnot in 1894, when Carrel was a young surgeon, left a deep mark on him. He saw challenges faced by surgeons treating the President in successfully rejoining large abdominal veins that were severed due to the attack. This triggered him to develop new methods to suture blood vessels. The sewing lessons he undertook earlier inspired him to apply the technique of ‘triangulation’, which is still in use. For around a decade from 1901 to 1910, he explored and developed many procedures known to vascular surgery till date and achieved immense success in rejoining veins and arteries as also performing surgical grafts. Such contributions led him to win the ‘Nobel Prize’ in 1912. The phenomenon of aging intrigued him and on January 17, 1912, he initiated an experiment that saw him placing a bit of tissue cultured from an embryonic chicken heart in a Pyrex flask. 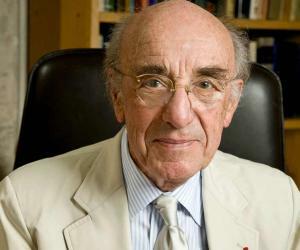 He kept this connective tissue cells alive for more than two decades by regularly supplying nutrients. In 1916, while the ‘First World War’ was going on, Carrel was serving as a Major in the French Army Medical Corps. His request to the Rockefeller Institute for a chemist was granted and accordingly English chemist Henry Drysdale Dakin joined him at a temporary hospital in Compiegne. The duo invented the ‘Carrel–Dakin’ method based on Dakin's solution, chlorine, for treating wounds. 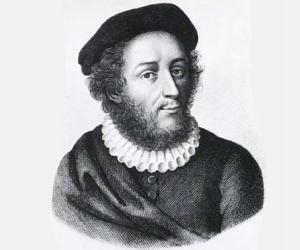 Carrel received the ‘Légion d'honneur’ for such contribution. He was twice elected honorary member of ‘Academy of Sciences of the USSR’ in 1924 and 1927. He remained member of many learned societies of several countries including France, the US, Germany, Russia, Spain and Italy. His book ‘L'Homme, cet inconnu’ (‘Man, The Unknown’) which accounted for known and unknown aspects of human body and life, was published in 1935. It emerged as a best-seller. In the mid-1930s, he and renowned American aviator, inventor and military officer, Charles A. Lindbergh collaborated and invented the first perfusion pump that enabled living organs to stay alive outside the body at the time of surgery. This revolutionary development is considered a crucial step in paving way for organ transplants and open-heart surgery. On January 1, 1938, the first edition of their book ‘The Culture of Organs’ was published and on June 13 that year the duo appeared on the cover of ‘Time’ magazine. He joined ‘Centre d’Etudes des Problèmes Humains’, led by French engineer Jean Coutrot in 1937. 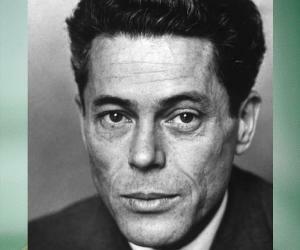 In 1941 he advocated for the formation of French Foundation for the Study of Human Problems, which was created in the same year by decree of the Vichy rule. He became the regent of the foundation. He received honorary doctorates from several universities including New York, California, Columbia, ‘Brown University’, ‘Princeton University’ and ‘Queen's University of Belfast’. 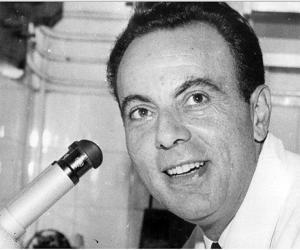 His major contributions include his work on vascular suture and transplantation of blood vessels and organs including development of new methods to suture blood vessels; significant investigations on ‘tissue culture’, invention of first perfusion pump; and development of ‘Carrel–Dakin’ method for treating wounds. He was awarded the ‘Nobel Prize in Physiology or Medicine’ in 1912. In 1913, he married Anne-Marie-Laure Gourlez de La Motte. She was the widow of M. de La Meyrie and had a son. Carrel and Anne had no child of their own. Once in 1914 during the ‘First World War’, his wife assisted him as a surgical nurse. He met Trappist monk Alexis Presse in 1939 who eventually had great influence on Carrel for the rest of his life. While on his death bed, Carrel called for Presse to conduct the Catholic Sacraments and on November 5, 1944, passed away in Paris, France.